Sessions are 10:00am to 4:00pm for the dates listed on the Carlyle Sailing Association Calendar. Programs will consist of REACH (STEM), Harbor Mice and Junior Sailing all under the umbrella of CSA Junior Sailing. The age and level of sailing ability for those signed up for each session will dictate what will be instructed on that day. Example: the information and activities in REACH will not exclusively be taught during the REACH sessions. The Summer sessions of Harbor Mice and the Fall sessions of Junior Sailing will be additional opportunities to teach and reinforce REACH’s important foundational sailing material. Our goal through US Sailing's REACH program is to foster an interest in science, technology, engineering, and math (STEM) through sailing. The education challenge facing our nation calls for innovative ways to educate today's youth. Using sailing as a medium, REACH uses inquiry-based learning and engineering by design processes to provide youth with hands-on integrated learning opportunities that inspire interest in fields of study including physics, marine biology, robotics, technology and more. Launched in 2012, US Sailing's leadership is embracing STEM education through the sport of sailing by engaging students in hands on learning opportunities and challenging them to reach higher academic goal. 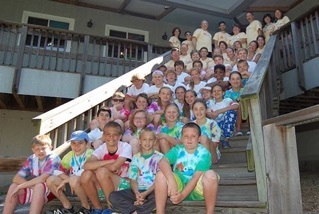 The programs emphasize Learn-to and Practice Sail Classes. Students will learn to solo sail in the simple, stable, designed Optimist Pram and will also have the opportunity to sail the more high-performance Open Bic. Instructions will include information from the REACH program, introduce to boat rigging, recreational sailing, and safe boating practices. Juniors with advanced sailing skills will be given the opportunity to learn about boat handling, tactics, and rules while participating in individual racing, match racing, and team racing. 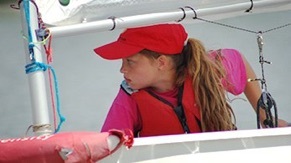 Who should enroll our Junior Sailing? Anyone age 8 to 15, (sailors and non-sailors). Students must bring their own lunches and snacks as well as a life-jacket, water bottle, change of clothes, closed toe water shoes, sun protection and towel. Life-jackets are required when in and on the water, but will be provided for those that don't have one. All other materials for lessons will be provided. Do we need to own a boat/boats? No, it is not necessary to own a boat. CSA Junior Sailing has a fleet of Optis and Bics. Of course if you have a Laser, Sunfish, Opti or Bic, under the rules of a junior membership, it can be kept at CSA and used in the junior programs. All lead instructors must be at least US Sailing Level 1 Small Boat Certified and have recently completed First Aid and CPR training. Although the goal is to teach students how to sail, safety is their first consideration.